Method of “investment” or “lost wax” metal casting is known since ancient times. The process is simple – a master model or sculpture made of wax is being molded in a one-time-use ceramic (clay or plaster) mold. After the mold is cured, wax is being melted out of the mold and metal is poured into the cavity. The mold than will be broken in order to reveal the metal casting. Investment casting method existed practically unchanged for hundreds and hundreds of years and being used by jewelers and sculptors. 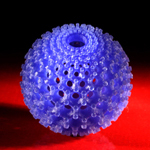 Development of rapid prototyping gave a new life, form and purpose to the ancient technique. One of the newest technologies called Multi-Jet Modeling (MJM), patented by 3D Systems, combined with use of new VisiJet® wax materials lead to the ability to produce real wax patterns with extremely high resolution. Jewelry industry was first to appreciate and adapt the new technology. Master models of digitally designed jewelry products could now be produced directly on ProJet machines, in real wax, with precision, complexity and amount of detailing like never before. A wax patterns could be reproduced in quantities, remaining identical and not losing quality due to re-cast. ProJet technology was also recognized and adapted by dentistry, precise instruments and medical industries and product design community. 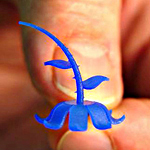 Due to the high cost a use of this technology in professional model making is only justified for highly paid projects. We moved to adopt this method as soon as we learnt about it and believe that such quality and ability to obtain so precise and detailed real metal parts is worth paying for. So far the most logical application of precision investment casting in model making is producing masters for pewter casting. Pewter (white metal) casting is a simple, efficient and cost effective replication technique, adopted by professional model makers and small manufacturers a long time ago. Producing masters for pewter casting, that would be able to withstand a temperature and pressure while making a hard rubber mold, was a problem. Use of precision investment casting combined with ProJet technology made production of such masters hassle free. We are sure that as this technology will be developed further a cost of will be decrease and we will be able to find more applications for high resolution real metal parts and components.